When I started my yoga practice, it felt like a solely physical experience. I think this is the case for most people starting their practice. People will liken it to pilates or stretching, something physical and perhaps not too intense. Over the years I've learned the physical postures are only a small aspect of yoga (and that they can actually get incredibly challenging); I've discovered the impact the breath can make in creating space in your body and mind, and the wonderful calm which can be created by this mindful moving and breathing and by meditation and (so I am learning) by diet. Now I am learning all this and it makes such complete and utter sense, I am wondering why I didn't learn any of this earlier. It baffles me that I know things about historic events, geography and maths whilst not really understanding how to keep my own body, mind and emotions healthy. The beginnings of Yoga were developed in Northern India over 5,000 years ago. The word yoga was first mentioned in the oldest sacred texts, the Rig Veda. The Vedas were a collection of texts containing songs, mantras and rituals to be used by Brahmans, the Vedic priests. Yoga was slowly refined and developed in the Upanishads, a huge work containing over 200 scriptures. The most renowned of the Yogic scriptures is the Bhagavad-Gita, composed around 500 BC. In the second century the Yoga-Sutras -the first systematic presentation of yoga- were written by Patanjali. This text organized the practice of yoga into an "eight limbed path" containing the steps and stages towards obtaining Samadhi or enlightenment. A few centuries after Patanjali, yoga masters created a system of practices designed to rejuvenate the body and prolong life. This led to the creation of what we primarily think of yoga in the West: Hatha Yoga. In the late 1800s, yoga masters began to travel to the West, attracting attention and followers. In the 1920s, Hatha Yoga was strongly promoted in India with the work of T. Krishnamacharya, Swami Sivananda and other yogis practicing Hatha Yoga. 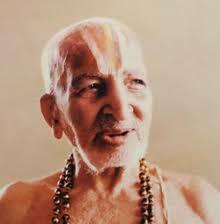 Krishnamacharya opened the first Hatha Yoga school in Mysore in 1924 and produced three students that would continue his legacy and increase the popularity of Hatha Yoga: B.K.S. 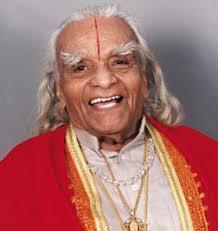 Iyengar, T.K.V. Desikachar and Pattabhi Jois. The yoga we see today has many forms and roughly fit within the Yang (dynamic, strength building) or Yin (calming, flexibility creating) categories. The yin and yang complement each other as you need both the energising and calming in life. In the Yang category are forms like: Ashtanga, Vinyasa flow, Bikram and Power Yoga. In the Yin category: Iyengar, Hatha, Yin and Restorative Yoga. I came to yoga through the Power Yoga Company. I found it challenging at first, the many vinyasas (flowing through postures, via plank push up) were tough, all these Warriors and Sanskrit names, it all had very little meaning and some of the postures just seemed impossible (how did all these people stay effortlessly in Downward Facing Dog). But I stuck with it and over time the postures became easier (though remained challenging, as we were being introduced to more difficult variations of the existing postures) and I started to become stronger. I also enjoyed the sense of calm it created at the end of a 60 minute class. It wasn't until I started attending classes regularly -3 times a week- that there was a shift. The physical movement became rhythmic, flowing with the breath as if it was a wave of energy; it transformed the practice into a moving meditation. That's when it started to have a bigger impact on my mind; if I could just bottle that feeling in Savasana (the final resting pose) where the body was light, the breath was deep and even, and the 'monkey mind' was temporarily tamed... I got stronger, felt calmer and more grounded. My yoga progress was interrupted by more surgery, of which the recovery was quick (as opposed to previous times where it had taken over a year). That's why I think yoga has made such a big impact on me; I saw how it dramatically aided my recovery. During the teacher training which followed, I learned about the 8-limbed path which taught me about the breath-work (pranayama) and that all the limbs work towards a deeper state of meditation (bliss). So the physical aspect of yoga is there to prepare our bodies to be able to stay comfortable in a cross legged seated position for longer (without getting distracted by a painful hip or sore back) and for the breath to be even in order for the mind to be calm, and the single pointed focus allows us to go inward. It all centres around meditation, and meditation (mindfulness) is associated with a decreased volume of grey matter in the amygdala, a key stress-responding region of the brain. Now that I have broadened my understanding of the different types of yoga and what they can do for me, I am much better at practicing on my own; listening to my body, where are restrictions, where do I need to let go. I can use breathing techniques if my monkey mind just won't be quiet or is very judgemental. And I meditate. Every day. It creates, calm, kindness and compassion. And a healthy mind, will cultivate a healthier body. 5 Aparigraha (non greed or non hoarding). 5 Isvarapranidaha (surrender to a higher power). "The father of modern yoga". I first encountered autogenics when I saw the psychologist Gaylin Tudhope in 2014; it’s a deep relaxation technique allowing the parasympathetic side of the nervous system to engage. Autogenic training exercise can be used to help address stress, anxiety, fear, tension. The more regularly it’s used, the more powerful it becomes; it will help you feel more centered and more relaxed, calmer and quieter. Find a comfortable seat, soles of the feet on the floor and hands on your lap. Close the eyes and just listen to the guided relaxation. I do want to learn more though especially after seeing the wonderful film 'Walk with me' . The calm, the pure and the kind living without attachment. Since then I have been trying to practice more, with small exercises. I find the app Calm incredibly helpful -it has become app of the year 2017 in appStore); guided meditations on various topics (anxiety, focus, stress, also some for kids) and sleep stories too. For kids I would also recommend the app Headspace which has programs specifically designed for age categories (7-9, 10-12, 13-15, 16-18 years and adults). Created by a former Buddhist monk, this app presents meditation in very straightforward ways and for specific circumstances, including walking, sleeping, kindness, and focus. It also includes reminders, rewards, and ways to connect with friends for motivation. I first heard about Thai Yoga Massage (TYM) during my Yin teacher training from a fellow student who (during break times) would kindly massage sore limbs and joints. It looked like such an act of kindness but it was also closely related to yoga postures and anatomy and I wanted to learn more. With a bit of googling I read about Kira Balaskas who set up the School of Thai Yoga Massage in London some 25 years ago. She had an introductory day at her home in February which I enjoyed so much that I enrolled in the 'Diploma course - practitioner level'; I followed all the classes and completed the 30 case studies ahead of the exam which I passed in April and I have now started the advanced. It also helps me to understand the differences in peoples body's better and in turn helps me to advise and adjust better in yoga classes. Thai Yoga Massage is nicknamed "lazy man's yoga" and uses an energy line system—the Ten Sen—through which the body's natural life force flows. Blockages in this life force cause aches, pains and disease. The therapist uses hands, feet and elbows to apply pressure to important points on the energy lines, together with gentle stretching and applied Hatha Yoga. This releases blocked energy and frees the body's healing potential, restoring balance and harmony. Originating in India and strongly linked to Buddhism, TYM is always practised in a meditative mood. It is said to be "the physical application of loving kindness". TYM treats ailments such as headache, knee pain, back, shoulder and neck pain, premenstrual tension and others. It is especially effective for numbness or loss of feeling in conditions such as Multiple Sclerosis, or after a stroke, and can help with pain relief during labour. The treatment improves flexibility, relaxes, restores and energises. Contrary to popular preconceptions, TYM does not require practitioner or receiver to be flexible, athletic or strong. Each treatment is designed to suit client needs. As the basic principle is to balance the energy body with palming and thumbing techniques, this form of body work can be done on or by anyone: young, old, healthy or unwell! TYM's wonderful yoga-based stretches are secondary and do not need to be integral to the treatment. However, for those able to receive them, these effective and beautiful stretches really enhance the experience and benefits. I am amazed by how much I enjoy TYM, what originally started as something that would help my yoga teaching, has now become something I really want to do more of (perhaps even more than teaching). It has a big mindfulness component (you have to be in the moment, conscious of your breathing and posture) and also a meta-meditation (kindness and compassion) aspect. It is great for the receiver, but it is also very calming and energising for me as the practitioner. TYM perfectly fits into my plans as I want to use what I know of yoga, meditation, mindfulness (and lifestyle) to help people who need it most; people who are ill, the elderly, kids.. people who could benefit but are reluctant to go to a yoga studio which might look too alternative/hip/daunting. Write down what you are grateful for at the start or end of every day. Make a list of your favourite things in life and remind yourself of them. It will shift your mindset -which is hardwired to look for the negative- and can start a snowball effect of feeling more gratitude. You will find it is the little things that you are the most grateful for; family, friends, good health, sunshine, log fires, hot baths, sea, travel, music, a good book and especially the awe-inspiring beauty of nature and trees! One of the many reasons why I felt so nourished and well at Kripalu, was the amazing green environment. Forest Therapy is a research-based framework for supporting healing and wellness through immersion in forests and other natural environments. Forest Therapy is inspired by the Japanese practice of shinrin yoku, which translates to "forest bathing." It is proven to lower heart rate and blood pressure, reduce stress hormone production, boost the immune system, and improve overall feelings of wellbeing. During an 8 year long Japanese study, they measured the activity of human natural killer (NK) cells in the immune system before and after exposure to the woods. These cells provide rapid responses to viral-infected cells and respond to tumor formation, and are associated with immune system health and cancer prevention. It showed significant increases in NK cell activity in the week after a forest visit, and positive effects lasted a month following each weekend in the woods. Spring has sprung! 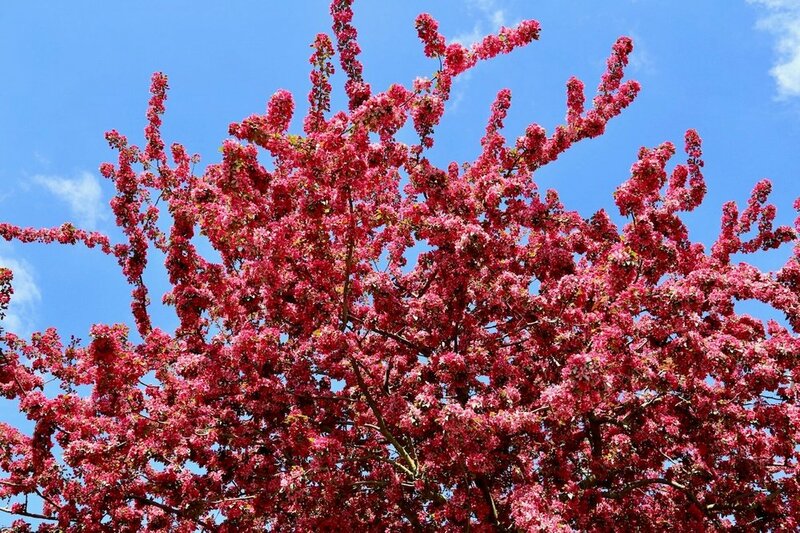 Go out and marvel at the beauty of trees… perfect time to practice gratitude and watch those happy brain hormones blossom!